The most exciting new addition to this week's Japanese game sales chart is the appearance of Fallout: New Vegas. Looks like that "protest" against Japanese role-playing games campaign worked. 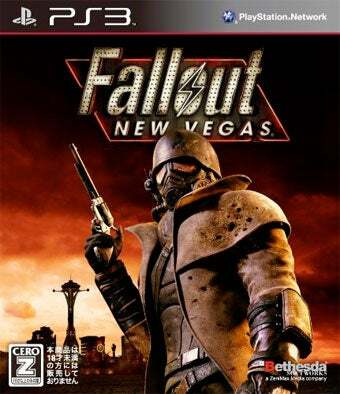 While Fallout: New Vegas didn't managed to unseat reigning champ God Eater Burst—or sell better than the Super Mario Bros. collection, Pokemon or Winning Eleven 2011, for that matter—it landed at a respectable fifth place on this week's Media Create chart. It also landed at seventh place, with the PlayStation 3 and Xbox 360 versions of Bethesda's post-nuclear adventure moving more than 60,000 copies. Much of the rest of this week's chart is full of familiar faces, with Kirby's Epic Yarn continuing to sell well, the same for Wii Party. For the bestselling games in Japan for the week of November 1 to 7, read on.